For many people, especially the young, Christmas is a romantic festival to enjoy. 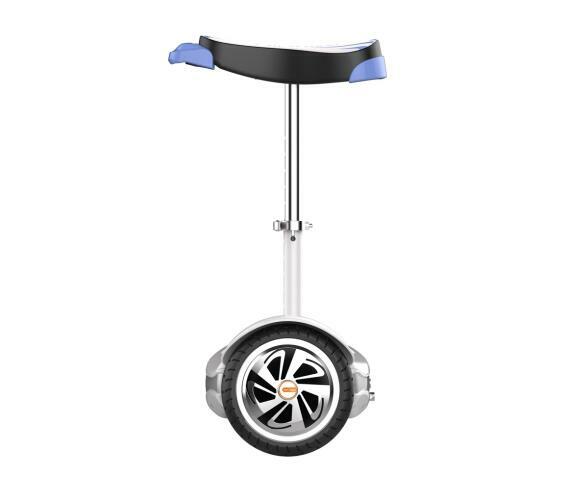 Fosjoas U1, the mini electric unicycle is the best tool for people to travel in the Christmas night. Fosjoas U1 is the scooter with saddle, so users can sit on it rather than standing for a long time. Besides, the two-wheeled electric scooter widen the contact area of its tyres, so Fosjoas U1 can be driven steadily, even on the snowy road. The tyres of Fosjoas U1 comes from Cheng Shin Tyre, one of the top ten manufacturers in the world. The tyre can be suitable for different terrains, so riders can travel on the snowy road safely. Fosjoas U1 is also made of PC material which can resist rain, snow and high temperature from corrosion. As a result, the body of this two-wheeled electric scooter cannot be damaged by the snow, so does the motor which is imported with low noise. Besides, the inserted intelligent chips can reduce the risk through speed control falling down prevention. Riders can ride Fosjoas without worrying the potential dangers. Riding Fosjoas U1 to the restaurant and parks to avoid traffic jam in the snow is a good idea, which can save lots of time. If someone wants to be on time at Christmas date, just choose the self-balancing scooters as the transport. With it, the activity in Christmas will be memorable and exciting. Owning a Fosjoas enjoys a romantic Christmas night.